Considering the number of times I have moved (at least twice a year since 2003, oh the life of a student! ), you would think I was an expert by now. 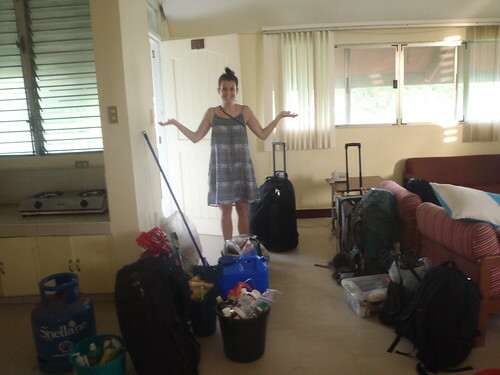 Our move from Oceana to San Juan however, tops my list of moves as the most ridiculous. 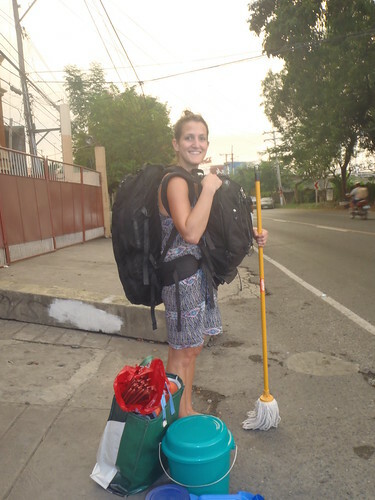 Imagine Kate and I loaded down with as much gear as we can physically carry trekking down to the national highway to catch a jeepney or tricycle or whatever stops to pick us up first. At 5'4, I already struggle to get on and off a jeepney with anything close to resembling grace. Loaded down with gear, doesn't help! All packed up and ready to move. "Kate, How are we going to do this?" The hard way! i.e. the only way we know how to do things! Waiting for a ride. 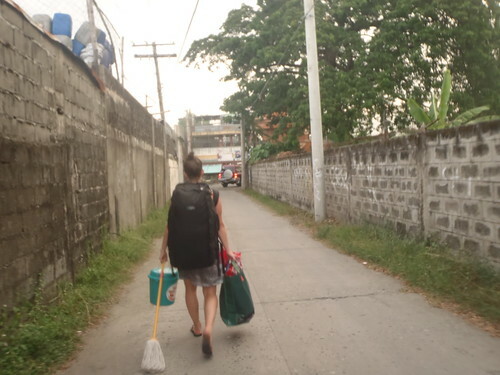 This trip we managed to flag down a jeepney and somehow squeeze ourselves and all our stuff in. I'm pretty sure I only took out one or two people getting on and off. Despite spending our second weekend in our new place, sans water (we've quickly learned that rain water can be collected for flushing toilets and boiled for washing dishes and ourselves) we are loving our new location. We are still in the process of unpacking and decorating and will post pictures of our new place soon.